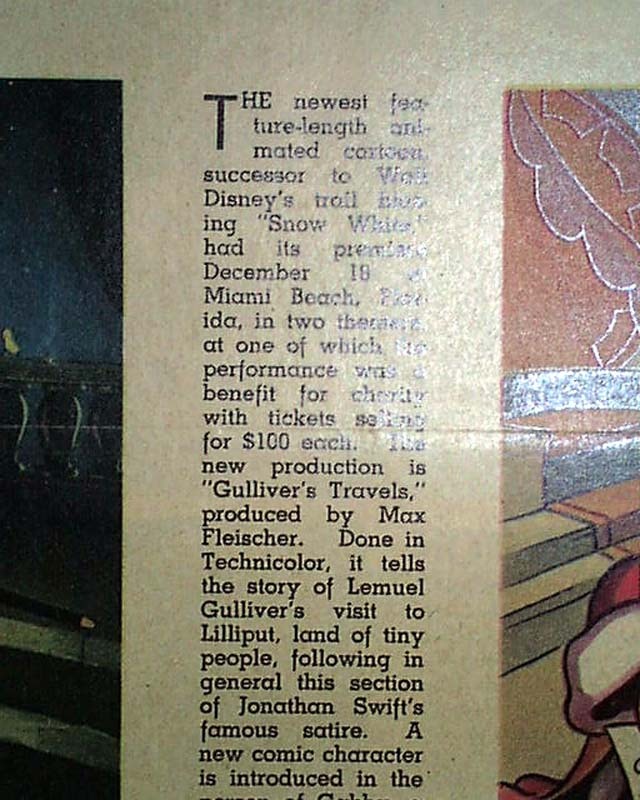 The back page of the weekly Pictures Section is fully dedicated to the new full-length animated film, "Gulliver's Travels," which was Max Fleischer's answer to the incredible success of Walt Disney's, "Snow White and the Seven Dwarfs." 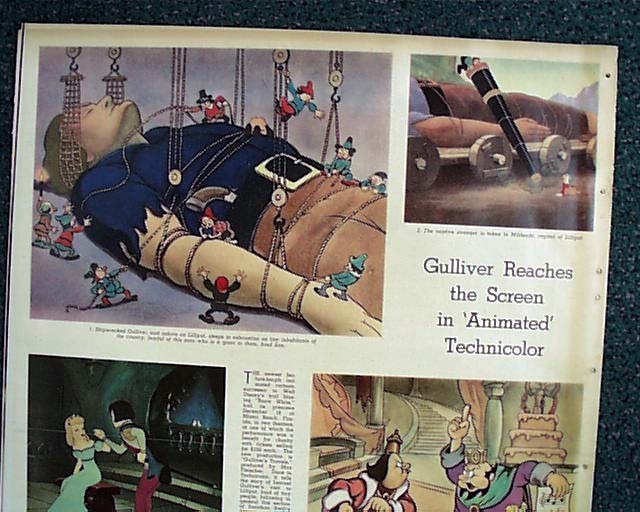 Multiple color sketches are included. 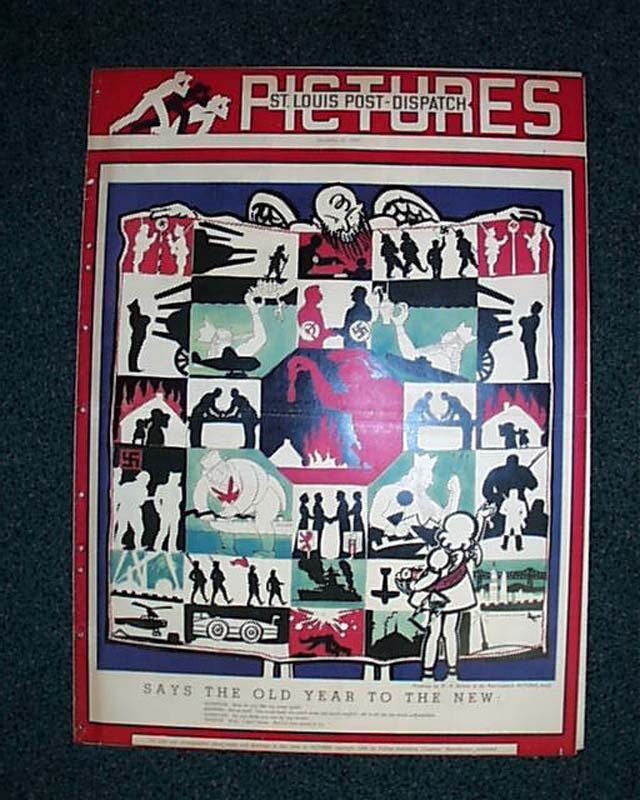 See images for details. 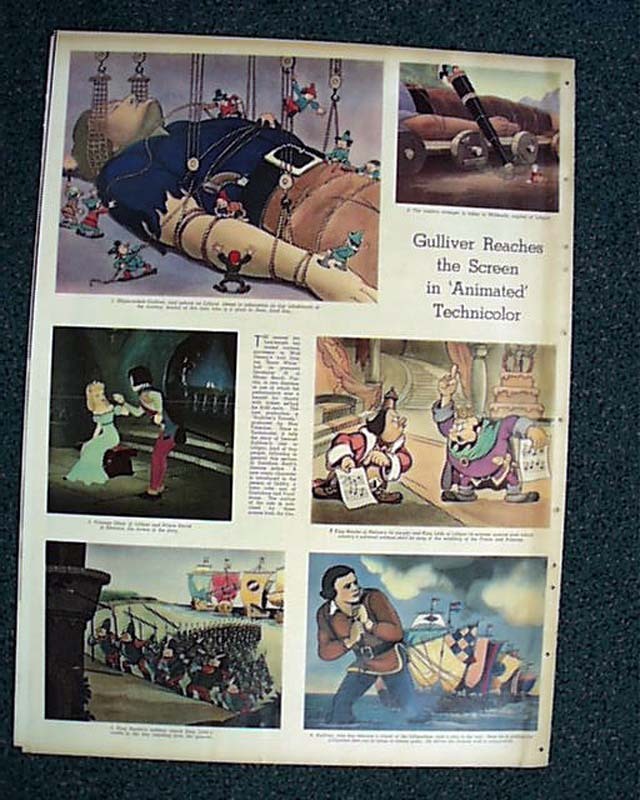 In beating out the release of Disney's Pinocchio by 1 1/2 months, it became the 2nd animated feature film produced in the United States. 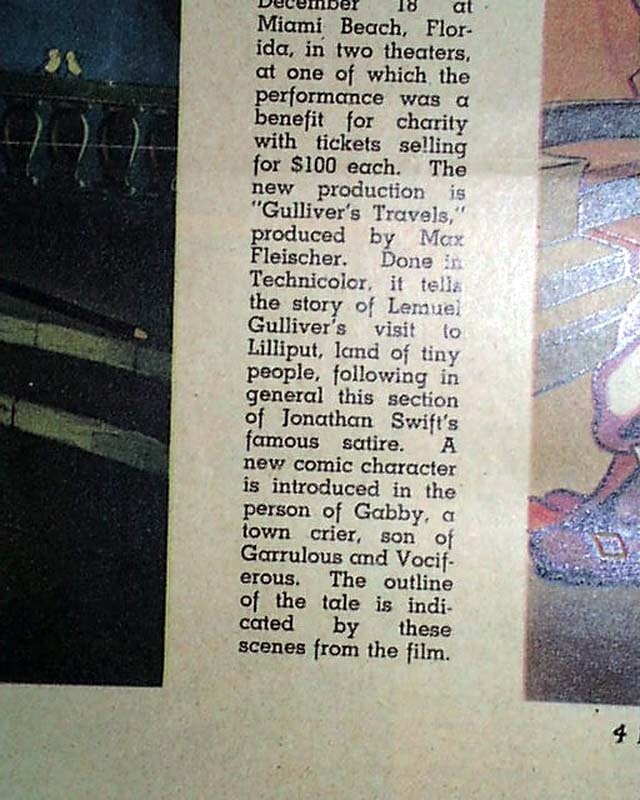 Although Max Fleischer, of Betty Boop and Popeye the Sailor fame, had been quite successful to-date, "Gulliver" would prove to be a financial disaster. 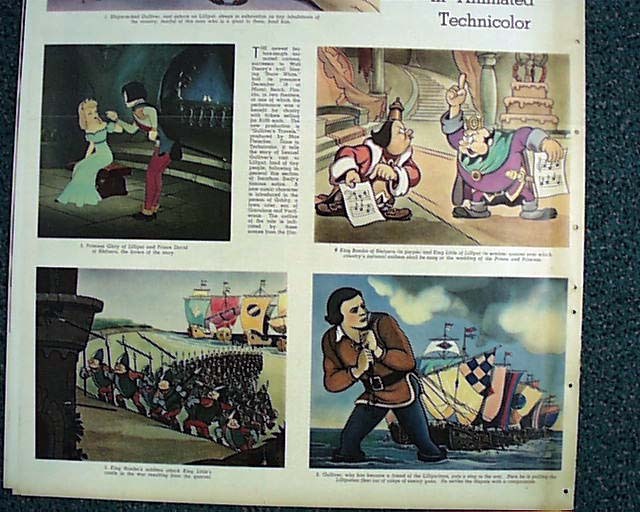 This Picture Section is complete in 16 pages and is in very good condition.